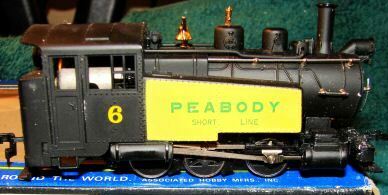 This 0-6-0 was first released by AHM in 1975. A 1977 advertisement from AHM includes this model and provides a $17.98 retail price. Origin markings on the underframe shows Hong Kong as the location of construction for this little AHM steamer.